View all photos taken & received on a monitored phone with mSpy software. Review all pictures downloaded on a smartphone. 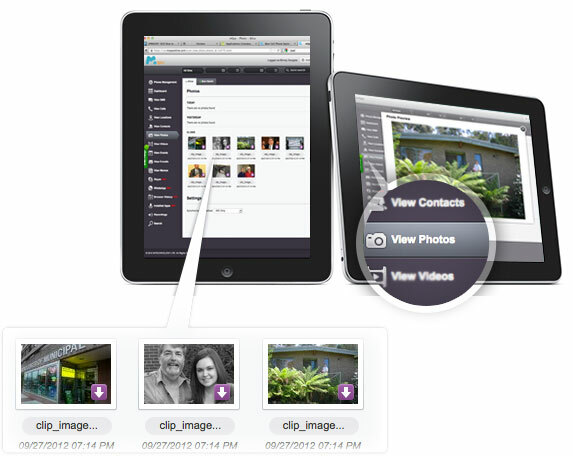 Check photo logs remotely from your personal Control Panel. Why will you find the Photos feature useful? Having full-body camera features on a smartphone can be extremely useful to vacationers or individuals attending an event. However, having such easy access to a camera-enabled phones also opens the door for people to all sorts of unexpected dangers. To safeguard your children from bullies, and your business data from falling into the wrong hands, invest in mSpy monitoring software, now with advanced Photo monitoring capabilities.